We are organizing another retreat to follow on from the successful 2017 and 2018 retreats with our team: Amanda, Kelli & Jay. For fellow campers and meditators who want some silence and structure. A summer gathering/ integrative meditation & meditative movement retreat. We offer Meditation, Qi gong & Somatics in this unique nature camp setting. Guided & silent meditation sessions throughout the day, + Qigong with Amanda & guided Hanna Somatics with Kelli. There is a full retreat schedule, ... AND you are free to follow your own needs & rhythms ... go for walks on the trails, lie in the grass, swim in the pool, walk the labyrinth or soak in the hot tub under the stars. The retreat is held with respect for those who wish to be in silence. There will be an opening group check-in/sharing circle. There is a percussion "jam session" on Saturday evening; An amazing variety of percussion instruments gathered from around the world, available at the camp! Or bring your own favorite instrument /drum. 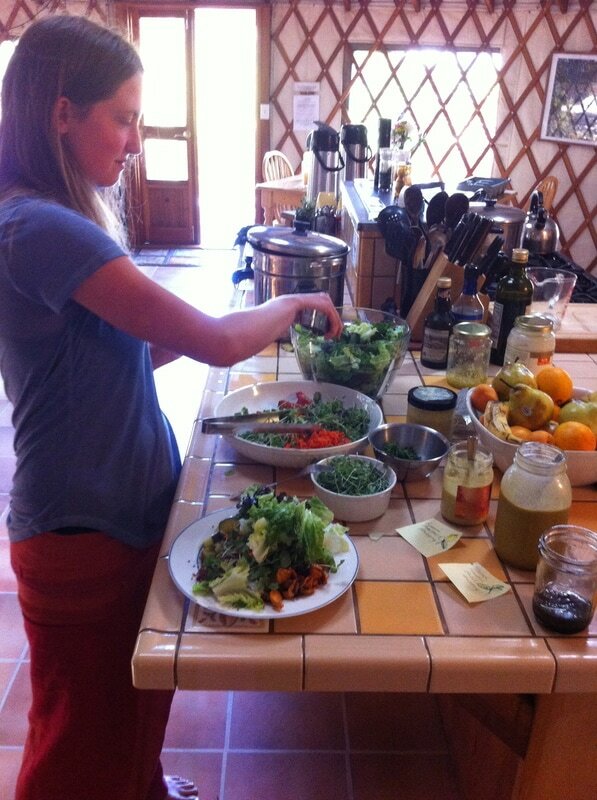 Your retreat fee includes 3 nights lodging with delicious vegetarian fare. (modest) breakfast, lunch and dinner. ​Accommodation is shared dorm-style yurt or camping (bring your own gear). There are 3 private spaces available also. $100 deposit down to secure your place. Let me know if you have an interest in coming, no one turned away! To register and pay deposit, email Amanda santacruzmeditationretreats@gmail.com . ** Additional Donation/Dana for organizers is welcome at end of retreat. In keeping with tradition, the retreat leaders do not receive any payment from the retreat fee. Participants have the opportunity at the end of the retreat to practice “dana” or generosity by giving donations for the teachings/sessions shared (This is optional - any gifts gratefully received, especially the gift of your presence). Retreat Venue : The retreat will be held at Camp Salamander, a private camp situated in the Santa Cruz Mountains, south of Los Gatos, CA, devoted to retreats in meditation and the arts. 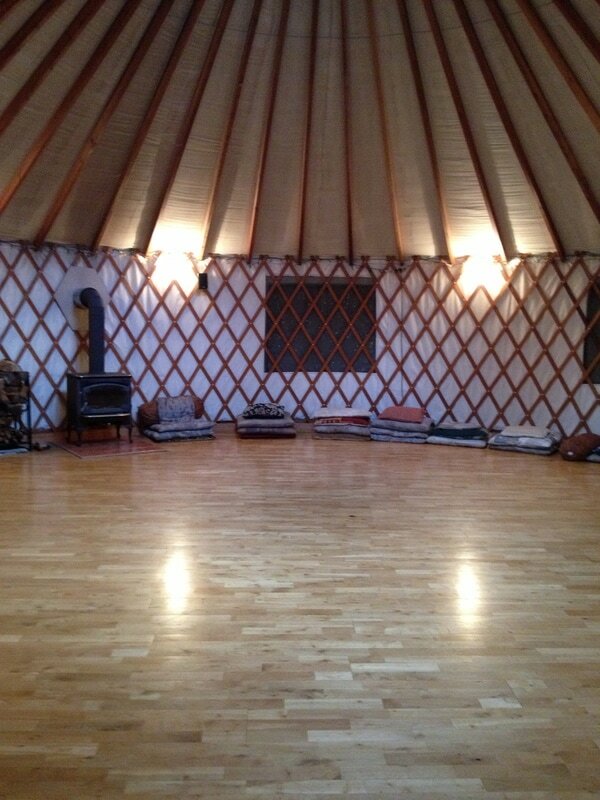 Three beautiful yurts, surrounded by redwood decks. *PLEASE NOTE: Do not find camp Salamander by google map as there is another salamander camp & you will directed to the WRONG One. Please refer to your registration info for directions to the camp from Amanda! Salamander is designed as a place for groups of 20 or less to meditate, move and walk in the surrounding forest, hot tub soak, and gather around a campfire. Acres of undeveloped forested slopes surround the camp. Enjoy the freedom of walking the trails in the moonlight, trace a stone labyrinth and rest in an open meadow.